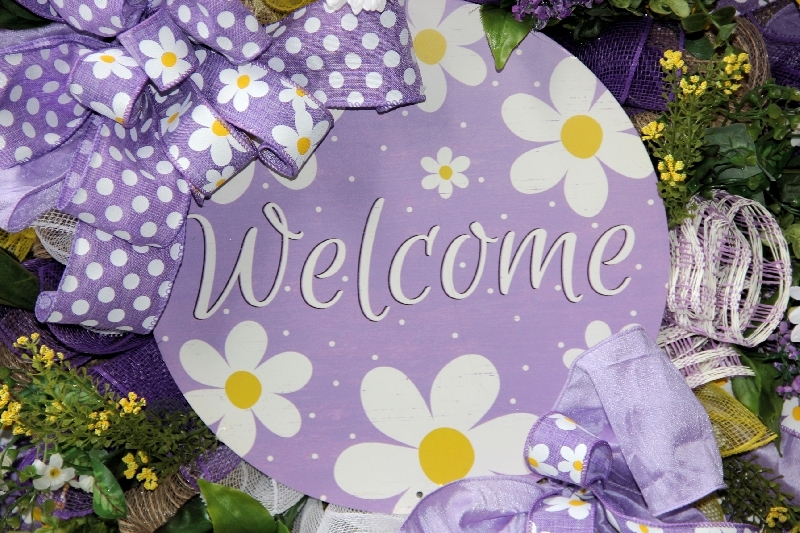 Deluxe Spring wreath with purple and daisies Welcome sign, purple tulips, daisies, yellow forsythia, mesh, mini flowers, berries, and beautiful purple duponi ribbon, along with daisy and polka dot ribbons. 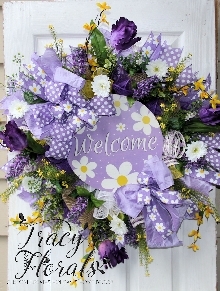 Measures 29" in diameter. Brighten your door all season long!